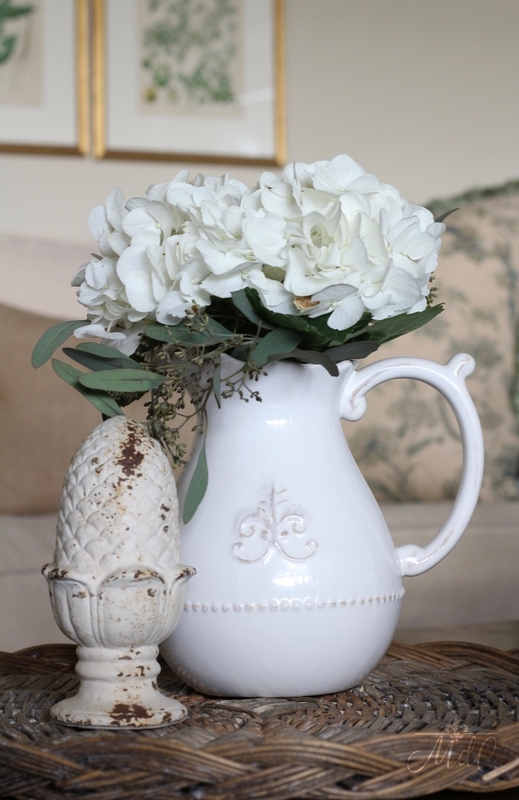 “Hi, I’m Sheila of @maisondecinq and am so thrilled to be here on Home Bunch! 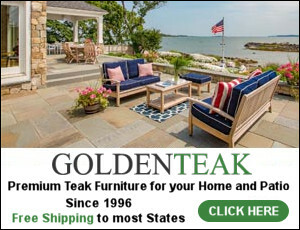 I’ve had a passion for decor for as long as I can remember – from hanging baskets on the walls of my childhood room, to staying in at night in college to decorate my dorm room, to decorating my first apartment with all things Ikea. Though my taste has evolved a great deal, I still have the same passion for design and am now writing a blog of the same name. I’d love it if you would pop over and say hello at Maison de Cinq! In fact, Luciane’s wonderful blog is one of the first ones I read when I started reading blogs, and she has always inspired me with her exquisite taste and informative posts. Being featured on her site is indeed an honor and I’m truly humbled to be included. To be honest, my house is not as large as many of the ones featured on here and my first thought was whether I belonged here or not! But hopefully those of you who also don’t have huge homes can get some inspiration from what I’ve been able to do with an average tract home. Our house was in pretty bad shape when we first bought it, but it had a good floor plan and we knew we could make it much better. Quite frankly, we bought a neighborhood and a school district more than we bought the house! However, it’s been a wonderful place to raise children and we’ve managed to create some character in our cookie cutter home! 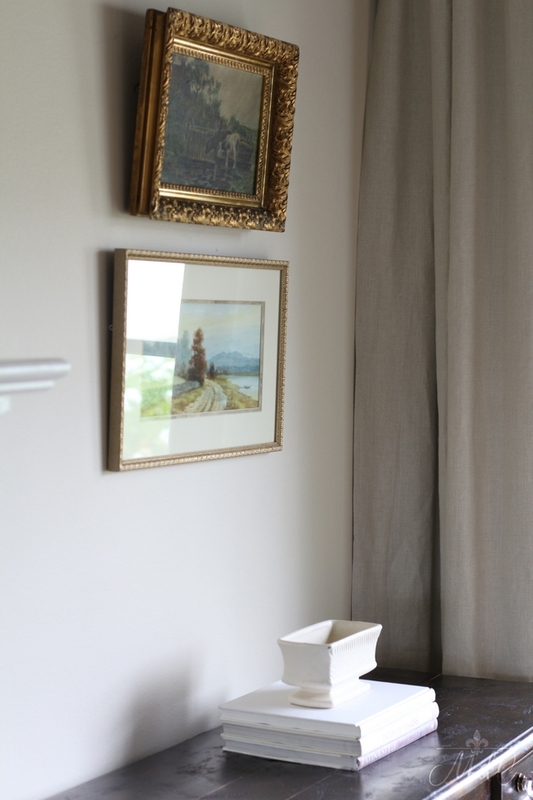 Wall paint color is Benjamin Moore Muslin OC-12. 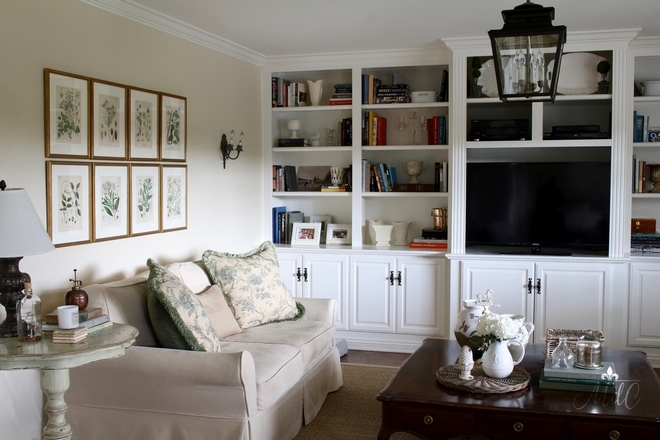 I love how Sheila decorates her home – every space feels special. 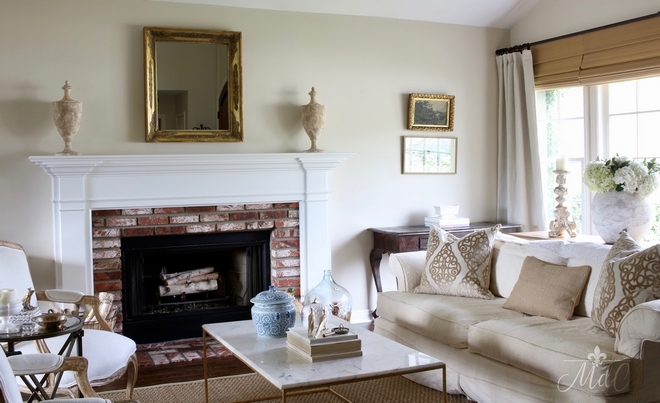 This living room is comfortable and truly inviting. I also love the neutral color scheme. 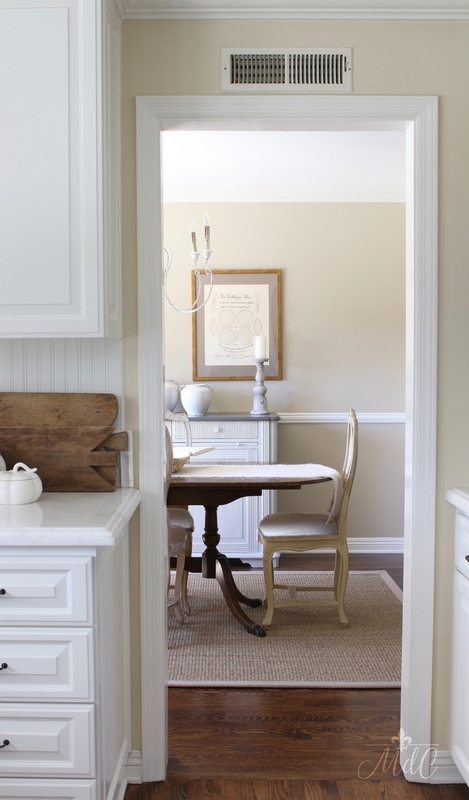 Paint color is Benjamin Moore Muslin. Pillows on sofa are from Home Goods. 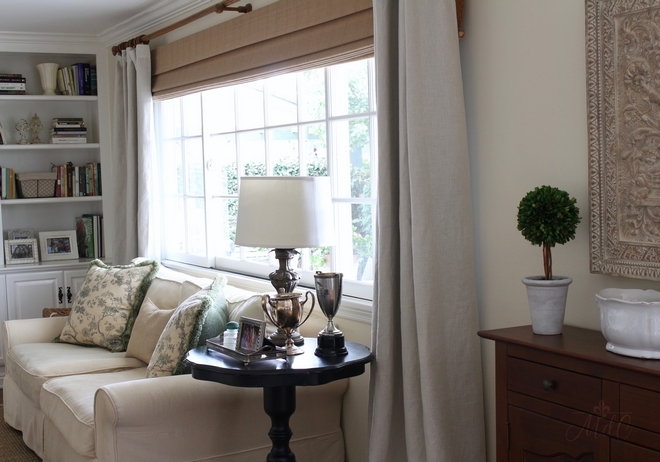 The windows feature custom wood matchstick shades and linen drapes from Pottery Barn – I actually love their curtains and often recommend them to my clients. 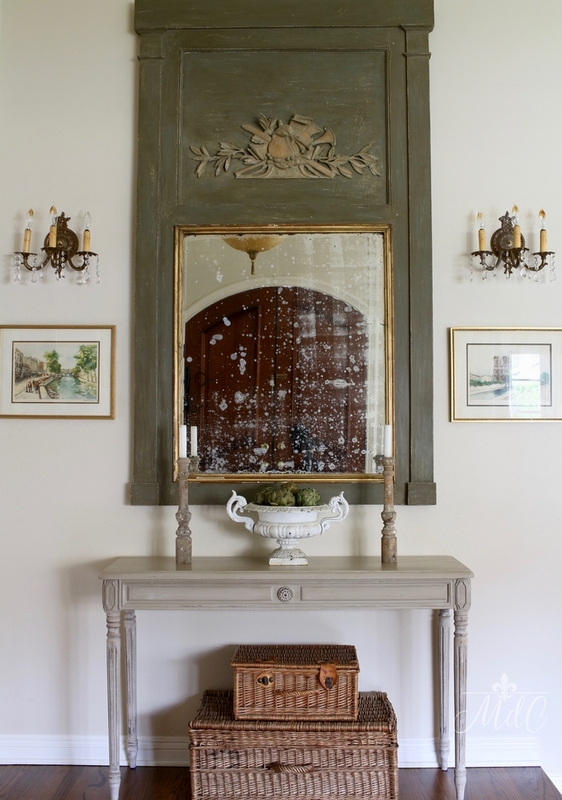 Mirror, side table, pair of Bergère chairs and all artwork are antiques. 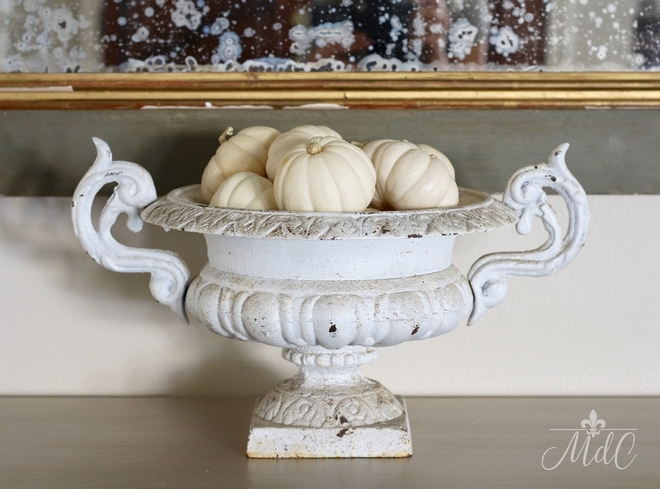 Console table behind sofa is from World Market. The coffee table is from Wisteria. 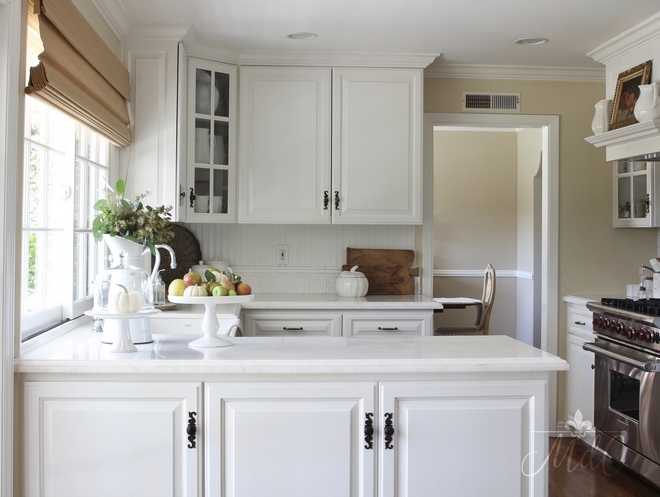 Cabinets are custom wood, painted Benjamin Moore Cloud White. 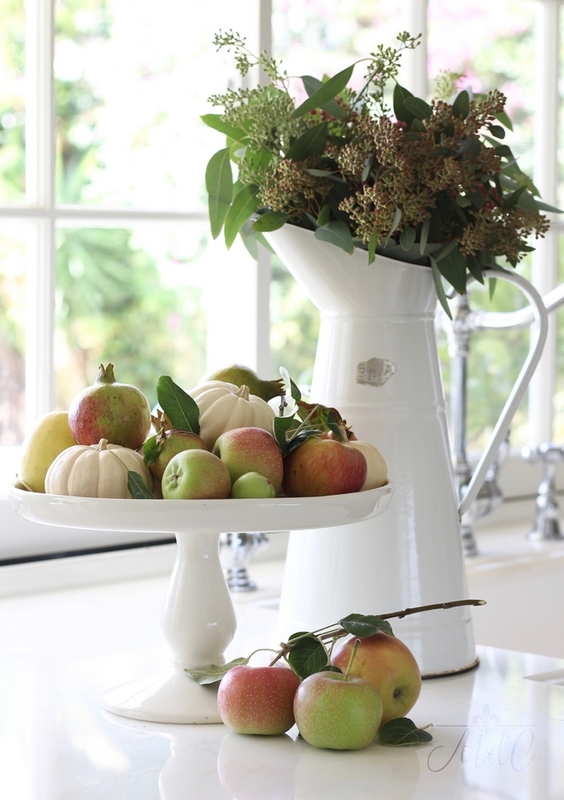 Sink: Farmhouse sink from Franke. 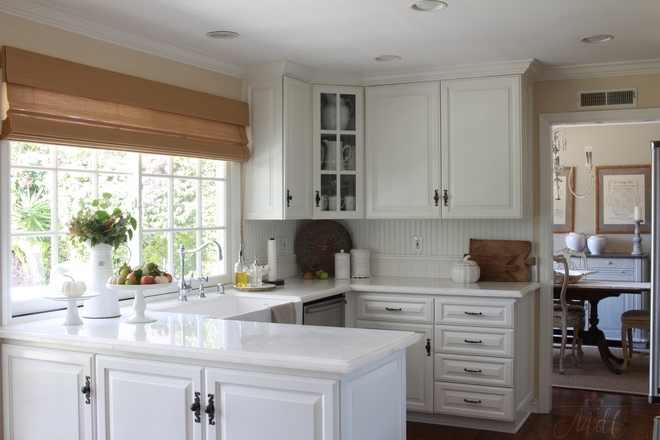 Countertops: White marble – color is “Mystery White”. 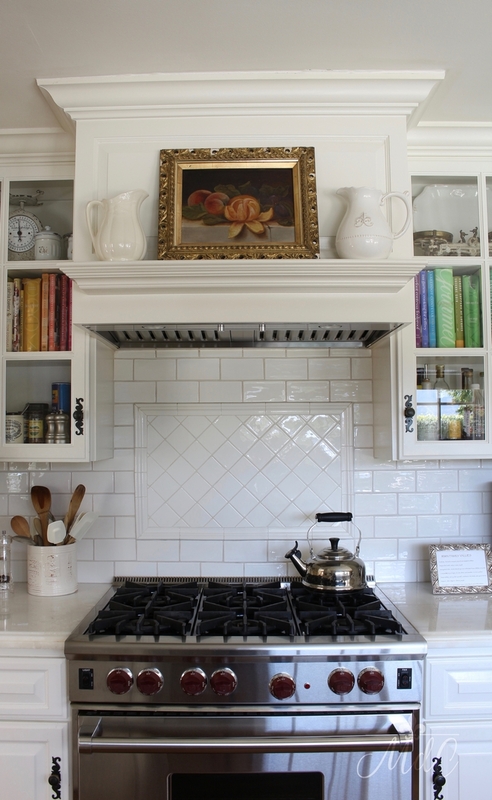 Backsplash around counters: Decorative tile from Waterworks and wood beadboard. Backsplash behind range is subway tile from Waterworks. 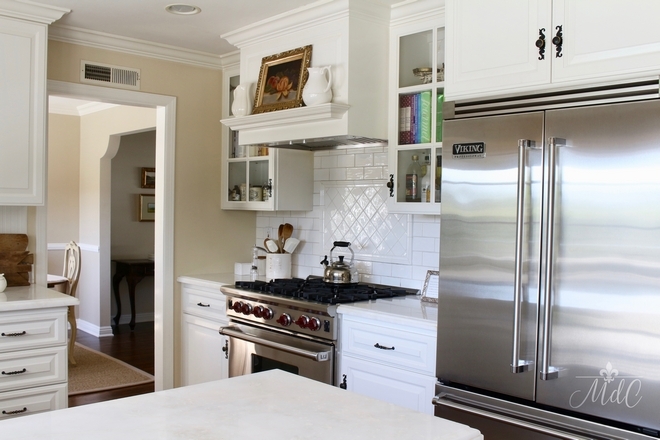 Cabinets and trim are painted Benjamin Moore Cloud White. Wood floors throughout the home are hardwood installed and stained (custom color) on site. 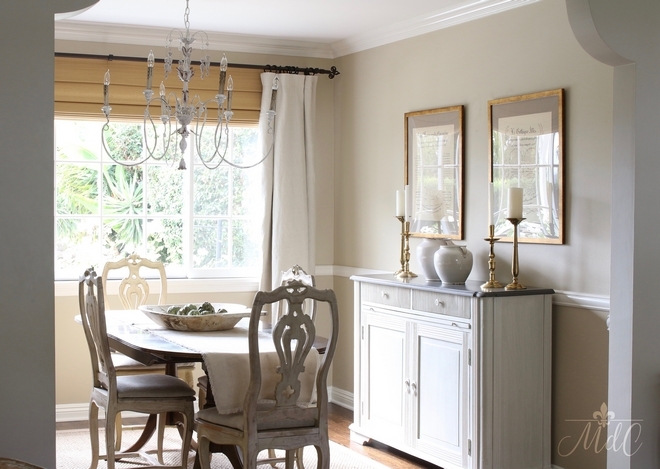 Isn’t this dining room beautiful? 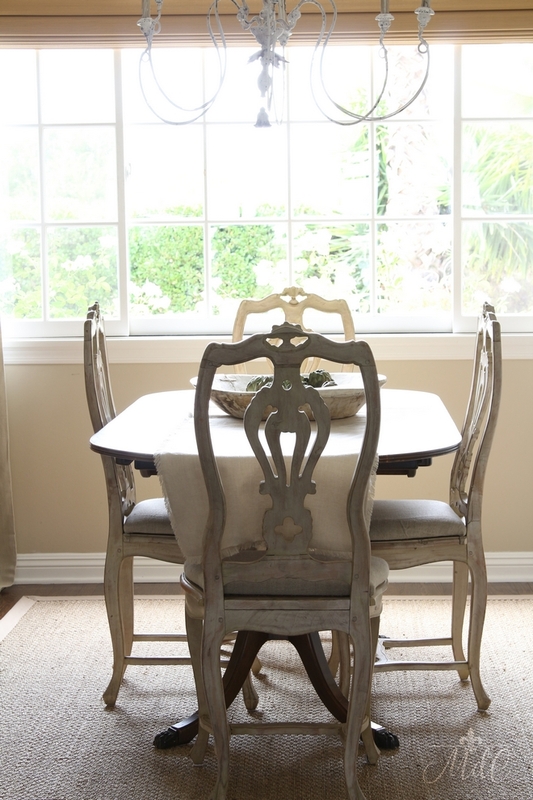 Dining table and dining chairs are antiques. 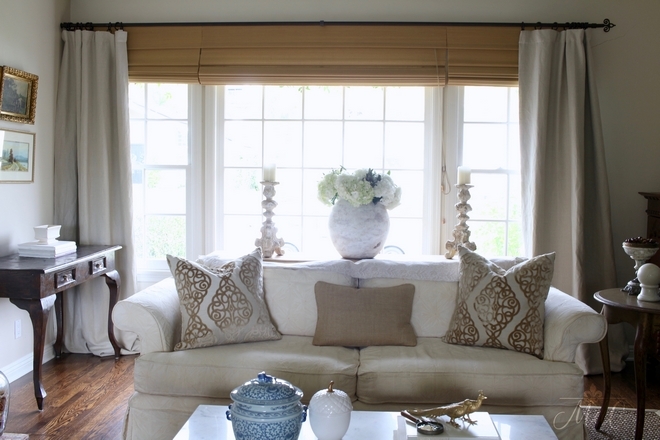 Windows: custom wood matchstick shades and linen drapes from Pottery Barn. 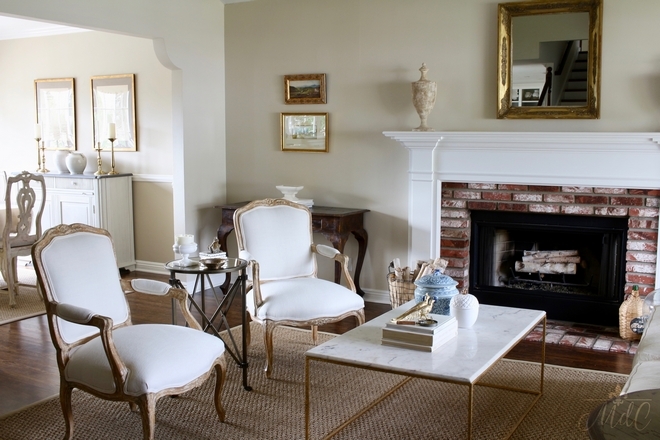 Wall color: Benjamin Moore Shaker Beige. 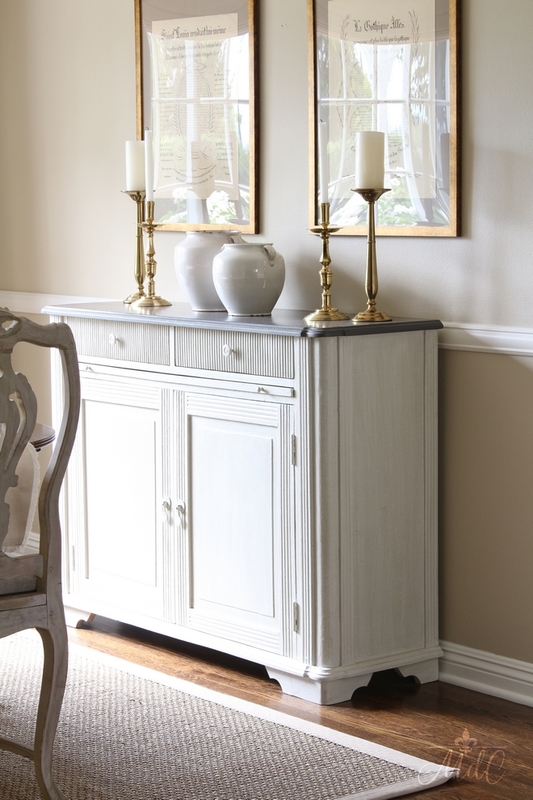 “Benjamin Moore Shaker Beige” is my go-to neutral paint color. 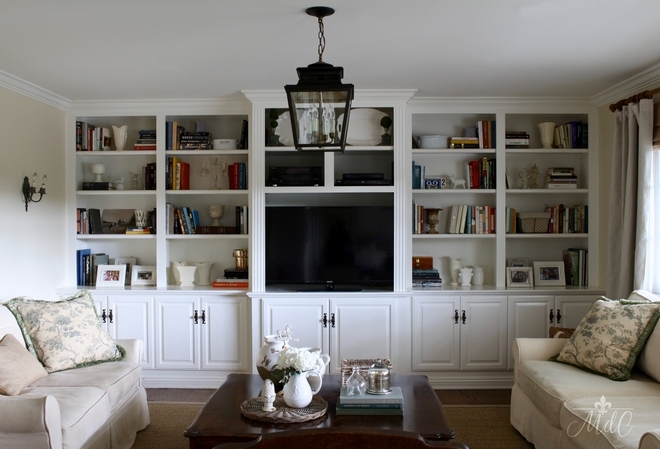 The family room is a great place to relax at and watch some tv. 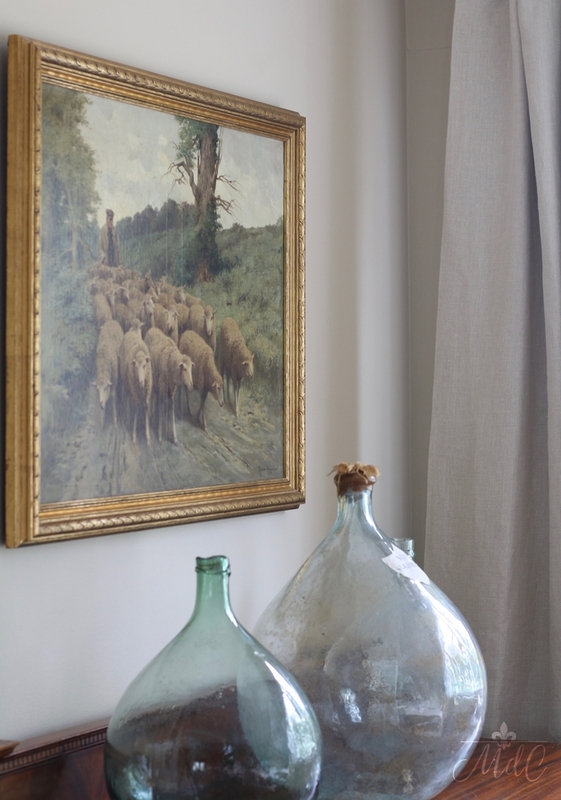 Artwork is framed antique botanicals. 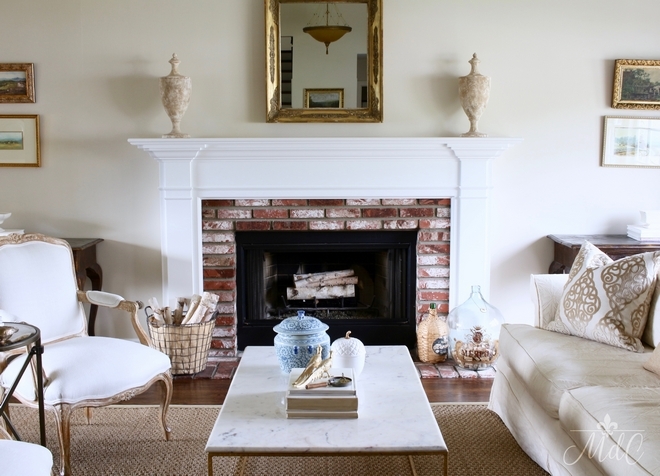 Coffee table and sconces are vintage. 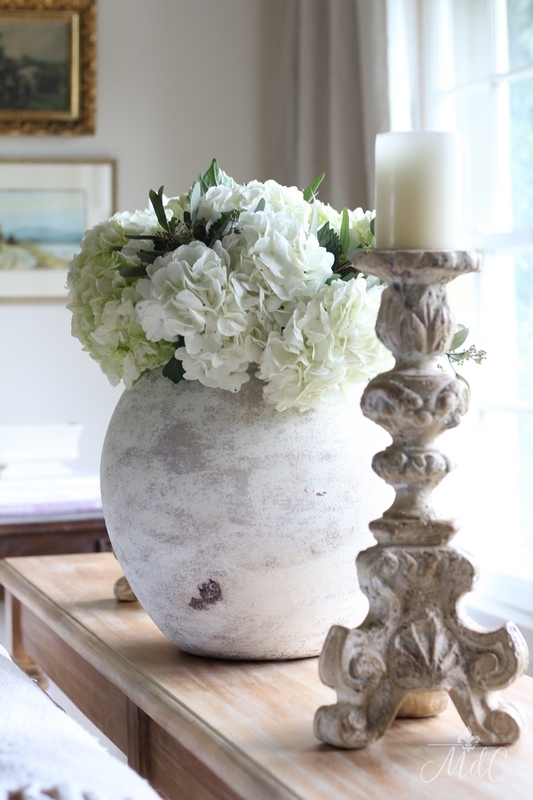 White hydrangeas always bring a timeless and soft feel to any coffee table. 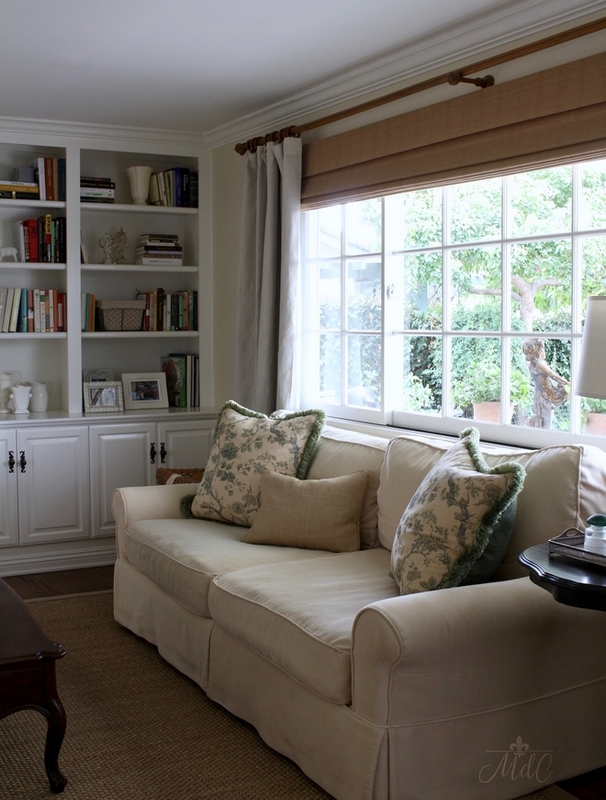 All windows are custom-made wood and painted Benjamin Moore Cloud White. 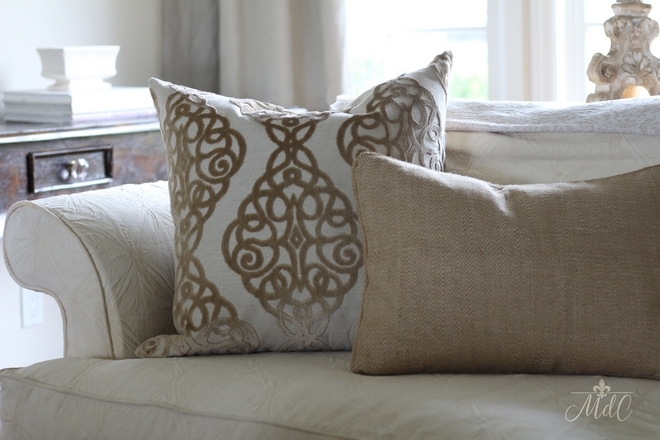 Pillows: custom, fabric is Bennison. 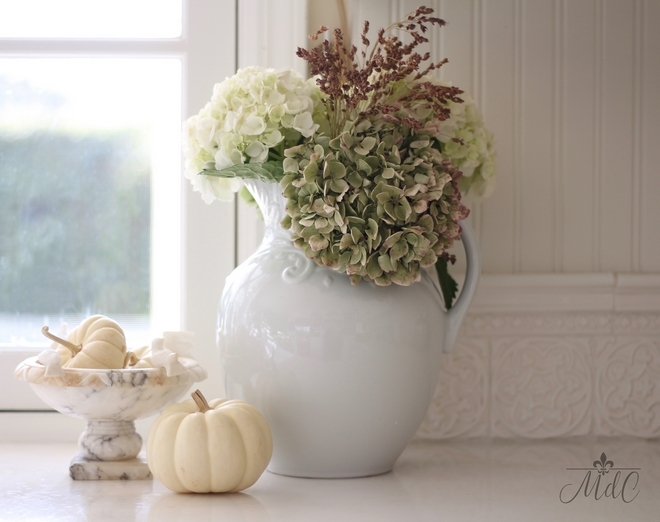 This soothing paint color is Benjamin Moore Monroe Bisque. Patio Table: made by my husband. 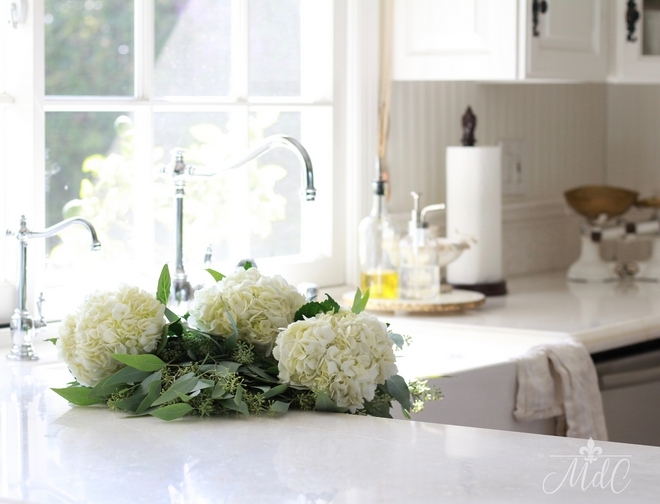 A huge thank you to Luciane for having me here on Home Bunch! I hope to have inspired you in even a small way, and am thrilled to have been included with the other amazing houses she’s featured. 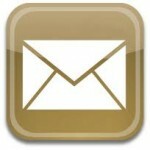 I’d also love to have you pop over to my website. 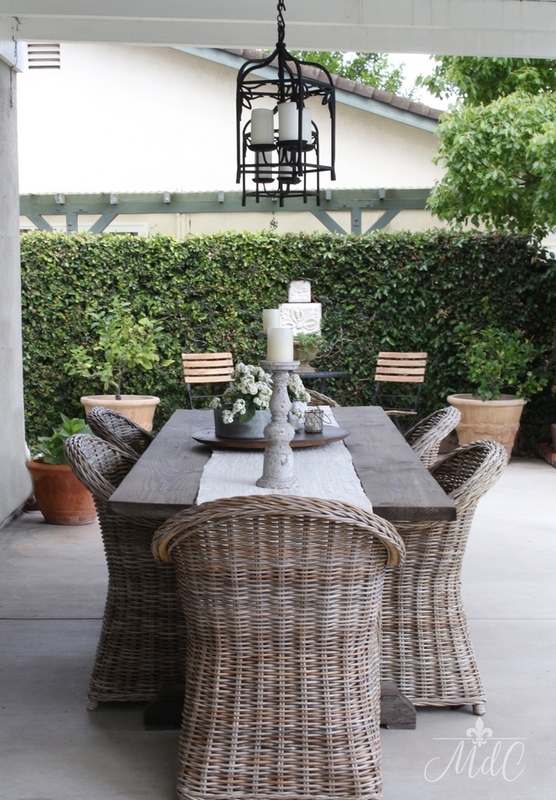 I talk design and decorating, as well as lifestyle and entertaining! @SweetShadyLane: Beautiful Homes of Instagram. 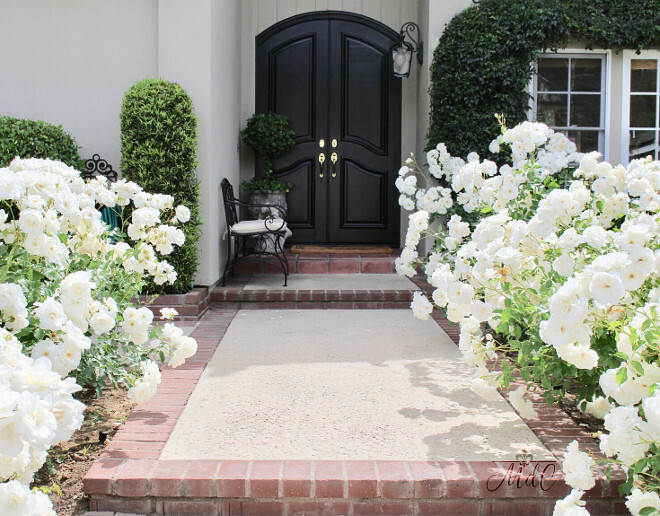 @MyGeorgiaHouse: Beautiful Homes of Instagram. @my100yearoldhome: Beautiful Homes of Instagram. @urban_farmhouse_build: Beautiful Homes of Instagram. Click here to see all “Beautiful Homes of Instagram”. 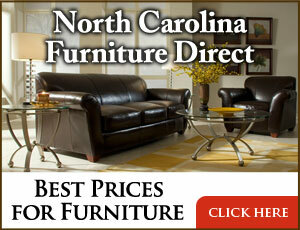 See the Latest Interior Design Ideas. It’s great to start a week with you all. I hope you had a good time here and make sure to come back tomorrow for a new post! Thank you again for the feature Luciane! I’m so grateful and honored to be a part. Your blog is always such an inspiration! My pleasure, my friend. I know that many of the readers will feel inspired by you!